Nina Katchadourian is an American artist who started working in the mid 90’s. She is known for playing with nature in her projects. She goes into nature and repairs imperfections with manmade objects such as colored thread or bicycle tire patches to bring a sense of order into the natural world. 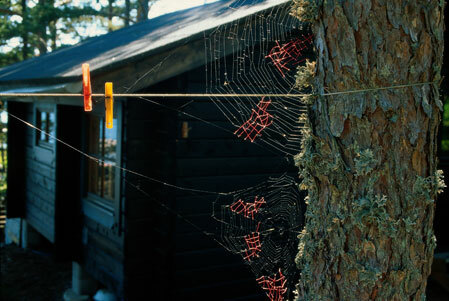 In her Mended Spiderweb series she tries to fix a spider web with thread. Overnight the spider tries to remove her handiwork and se photographs the result. 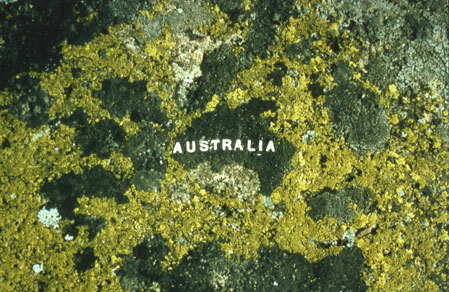 She brings the same kind of order in her other works using moss and rocks to create maps and translations. Katchadourian’s work ties into the “If this is Art” category because it deals with happenings and the focus isn’t on the aesthetic of the photograph it’s about the actions and events taking place. Her interventions with nature are kind of like the land art made in the 1970’s. This entry was posted in Uncategorized and tagged Nina Katchadourian by brittherring. Bookmark the permalink.